Cattle farming | Nagykun 2000 Mezőgazdasági Zrt. Our company inside the field of husbandry also deals with cattle farming. The amount of milk produced is 3,500,000 litres per year. The breed is triplicate-free (the IBR exemption is in progress), the breeding and the milk production is done according to the rules of HACCP since 2002. 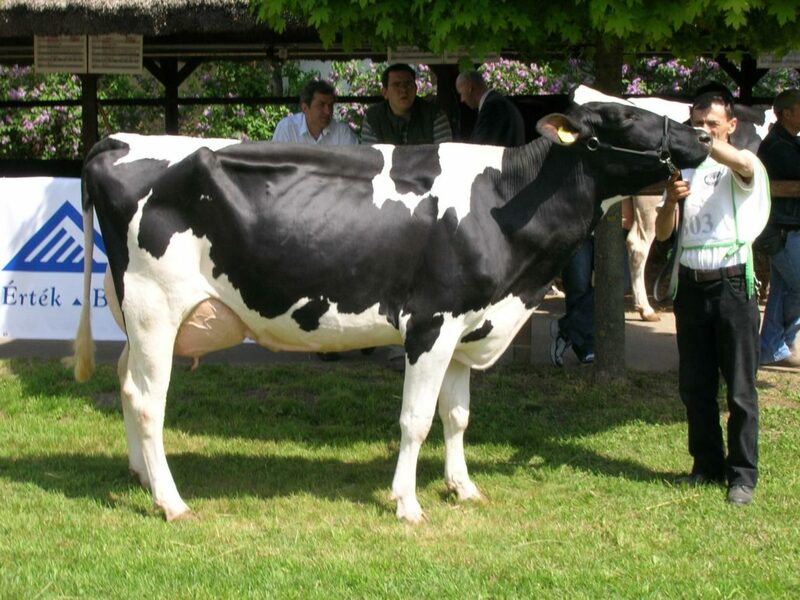 As an approval of the breeders’ work of the Holsten-friz type breed, we won the special prize of the Holsten-Friz Breeders’ Association in 2004 both at the XI. Husbandry days of the Great-Plains and at the VII. Husbandry days of Pannon as the cow which was given the grand prize was from our breed. Our presentation: "Szántóföldtől az asztalig"